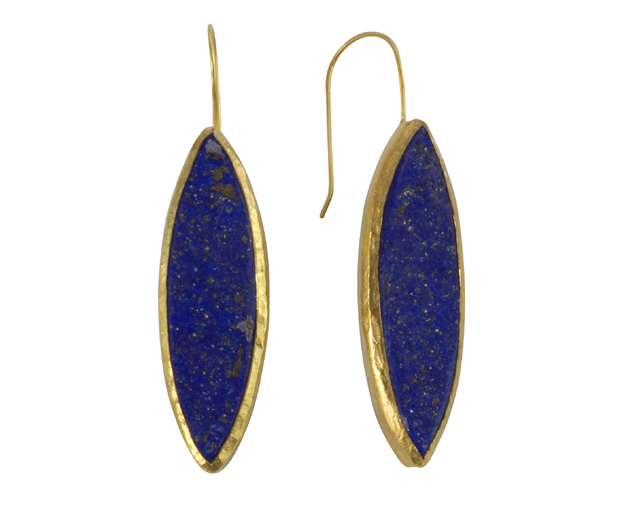 These large lapis lazuli earrings are made in gold plated silver. They have been left with a rough surface on both the lapis lazuli and the silver for a natural organic “found” look. 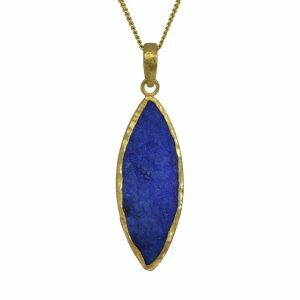 The roughness of the cut of the 40mm long marquise shaped lapis lazuli gives an undulating outline to the gold plated silver setting edge. The drops hang just below the earlobe on most people. 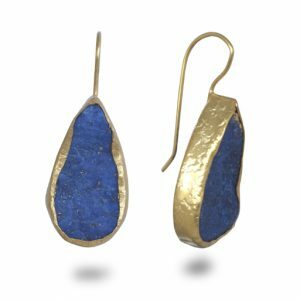 A royal blue stone that when it catches the light, is noticeably flecked with small gold flecks of pyrite. 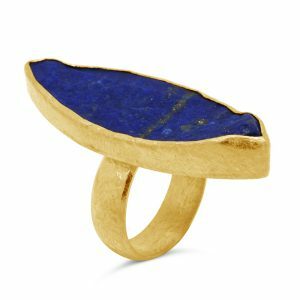 This is the unusual magic of lapis lazuli. Like all our work they bear a UK hallmark, are made in 925 solid sterling silver. These drops have a solid silver gold plated ear wire and comes with a scroll fitting for that extra sense of security whilst you are wearing them. A lovely silver gift.